We have already discussed VPNs for Macs, but what if someone uses not only Mac but a PC too? There are many options to choose from, still, there are leaders, which can be listed in Top-5. Here are TOP 5 VPNs for computer! Both free and paid VPNs for PC, choose the one that suits your needs! This is the best choice for me, as I have been using VPN Unlimited for years and I’m completely satisfied with their speed and connection quality. They now offer different subscription levels - from personal to corporate, you can also select a personal VPN server or a safe IP address. What’s just great is that they offer 7-day free trial, you can feel all the benefits of VPN Unlimited from KeepSolid, or in case if you didn’t like the service, of money-back guarantee. This service is the first recommended by me, so try it, if you need to connect to a VPN server right now! 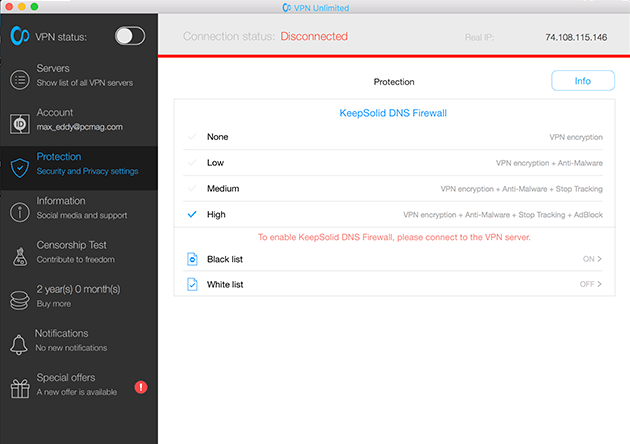 What are oher pros of VPN Unlimited for PC and Mac? You can add up to 5 devices to your VPN account and safely connect to the Internet from all of them. They say that there is 100% encryption of all outgoing data, so your web browsing is completely secure. Absolute privacy is another benefit, as there is a guarantee that no one will track your real location using your IP address. The speed is really high! I can prove that, as I have been conveniently browsing the web with this app for ages and I was never waiting a long time till the site is downloaded. Many servers guarantee high speed and the possibility of choosing an exact IP address for web browsing. I’d mention once more that VPN Unlimited is the best VPN for desktop computers, MacBooks, phones, and other devices. What’s more, it works perfectly on my MacBook Pro 2017 and PC with Windows 10. I used to browse with this VPN provider before I installed VPN Unlimited, but it is the same great service to use. They have 2500+ servers in 25+ locations. And they also support up to 5 devices, which is great for people like me, as I need VPN on my Mac, my PC, my iPhone, and iPad. 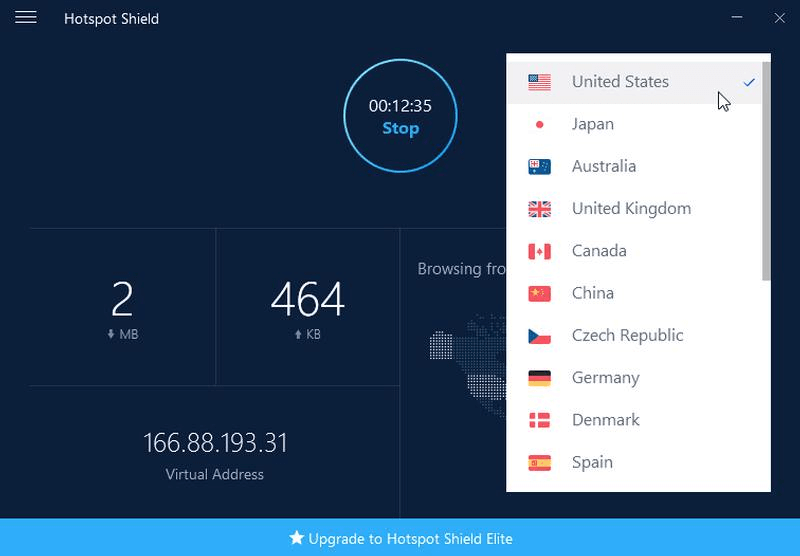 The greatest news is that HotspotShield offers a free VPN for computer, while the previous provider has only paid options. However, I was testing both free and paid versions of this software, and it seemed to me that paid subscription makes the quality of the connection much higher. Their support works 24/7, but you will hardly need their help, as the interface is easy-to-use and the installation process for this software is very simple. If you have technical issues, write to the support. This is the best option for those who search for the lowest price and the highest speed. I’d even say that this is the best free VPN for a desktop computer! 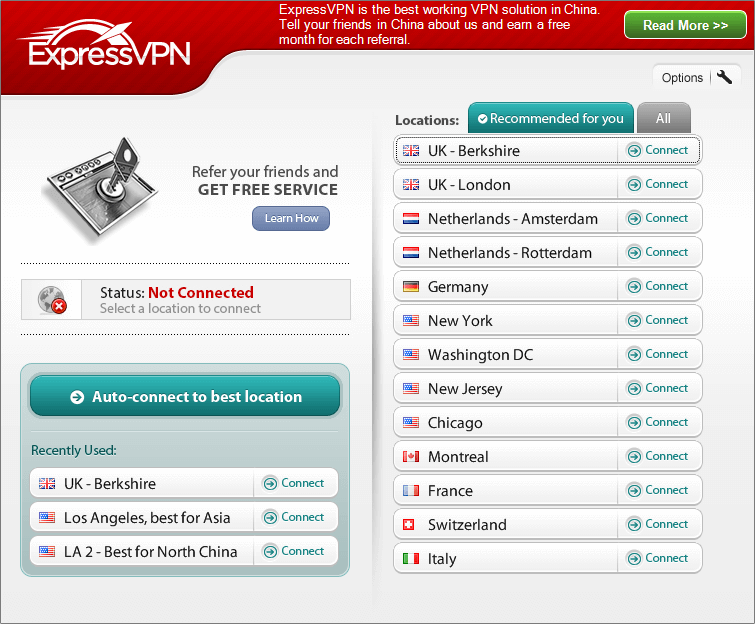 ExpressVPN is well-known among Internet users. Its best advantage is 148 servers locations with 2000+ servers. They say you can select one of 30K IP addresses. However, they support up to 3 devices. What else I like about ExpressVPN… It works with all possible platforms (even Blackberry phones!) and the connection is rather fast. The software offers pro solutions such as connecting a TV via VPN (for example, Netflix unblocking), which sounds weird to newbies, still, they have the 24/7 support, so you should not worry even if it’s your first time of using a VPN connection on your desktop computer. They don’t offer a free plan but have trial periods + discounts for annual subscriptions. IPVanish is the next fine provider of safe Internet connection. The good news is that they offer 1100+ servers in 60+ locations with 40K IP addresses while the access is granted on 10 devices, still, the bad news is that they don’t have free plans or even free trials! So, if you are searching for a free VPN for a PC on Windows 10 or another system, this is not a great option. And if you are ready to pay your subscription, you will be pleasantly surprised with an easy-to-use customizable interface. What’s more, in case you don’t like the software, there is a 7-day money-back guarantee. What users mention in their reviews, if that Netflix and BBC can be easily unlocked, but people needed some time to get used to this interface and organize their work. Still, once you learn how to use the app, you get a vast variety of powerful customizable options. NordVPN takes the 5th place in my rating. This one is not a free VPN for a computer as well, but its functionality is wonderful and the speed of web browsing is very satisfying. They offer 5000+ servers in 60+ locations. You can select the country you want, but you are not allowed to select a specific IP address. Up to 6 devices are supported (both desktop and mobile). What I liked about this VPN for PC, they have really great performance, however, there is no live chat support and you have to wait for hours until your questions are answered. 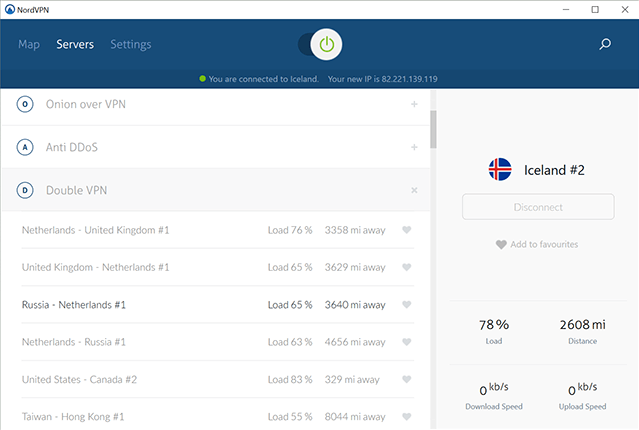 NordVPN is also great in protecting users’ data, as they offer 2048-bit encryption and data leak protection. So you can be sure that everything you do on the Internet will be private and safe. You now know what VPNs for a computer or Mac are the best and you are free to choose the one you like! It is recommended to test everything, however, you can adhere to my recommendations, as I’ve already tested each of these apps.